Our premium tailoring and fit forms are not adjustable in size. They are developed to set measurements and custom standards. This means they do not have dials, gaps in the body between the expanding body plates, and it also means they are far more sturdy, stable and robust. These are what the professionals use and need, and allow us to make accurate body shapes, with realistic anatomical definition, angles and postures. 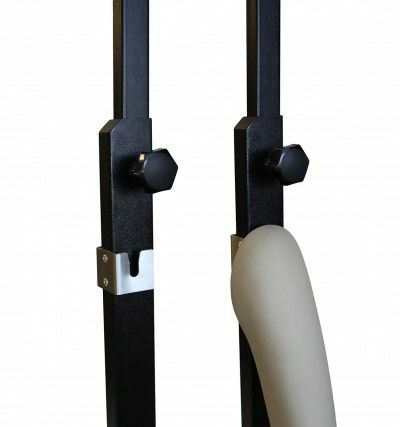 This is an attachment that can fit onto the base plate of the stand so the Half-leg form can also “stand” on the metal base making it easier when fitting tops as the user does not need to lift the form on and off the hanging stand when fitting tops and pull-over garments. The hanging pipe which comes out the top of the neck can be removed for easier fitting of top garments. A special fitting in the neck also allows the (optional) attachable head to be fitted for checking headwear accessories, garments with hoods, neck opening stretch, etc. The standing pegs attachment would be required in order to have these features or in the case of Half-leg top form, the Dress Cradle would be required. 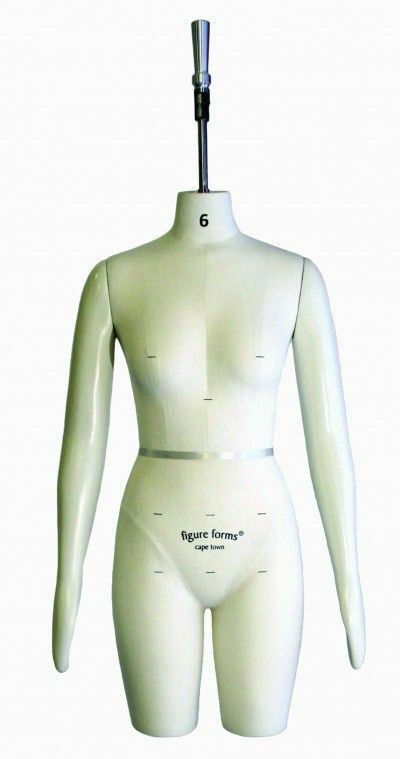 Body shaping and symmetry are critical when it comes to achieving the ideal garment fit. 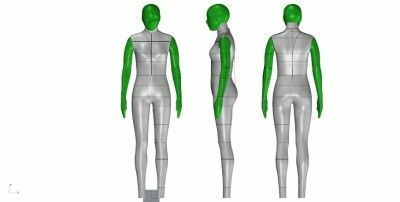 Collar-bone, shoulder-blade, through-rise shaping, gluteal folds and bust shaping play a critical role in how a garment will fit and balance on the body. With over 30 years’ experience of human anatomy and fit technology we are able to bring all of these elements into play on our technical forms. The Standing Pegs attachment is an optional extra feature which will enable your form to stand on its feet instead of hanging. 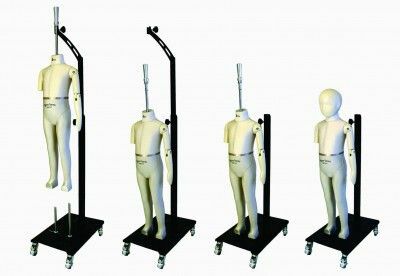 Especially useful for when fitting top garments, shirts and dresses – no need to lift the form on and off the hanging stand every time you change a garment. In the adult dress forms we have an over-sized keyhole-button system with a chamfered edge on the button for easier fitting of the arms into the keyhole. The buttons are sprung to maintain tension against the body so the arm does not become loose with years of use. Stainless steel plates are used for highest quality and durability. 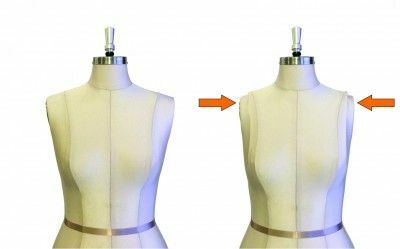 Detachable magnetic arms allow for easier garment fitting. Arm can rotate in position to mimic natural arm movement. In children’s forms we make use of a unique magnetic arm attachment system which makes attaching the arm much easier and quicker, and aids in the fitting process. These fittings have been refined and engineered over many years to the highest quality and to optimize functionality. Our fabric covered forms can be made with the extremely useful Collapsible Shoulders feature. 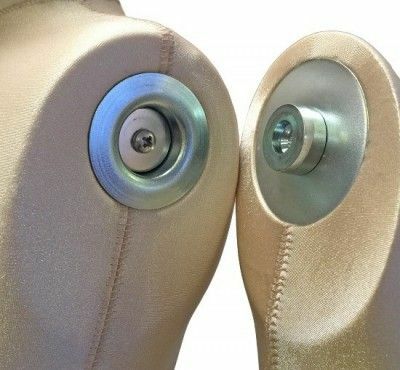 This allows the user to fit tight-fitting garments with greater ease, as well as remove constructed or pinned garments without necessarily disturbing the pins. 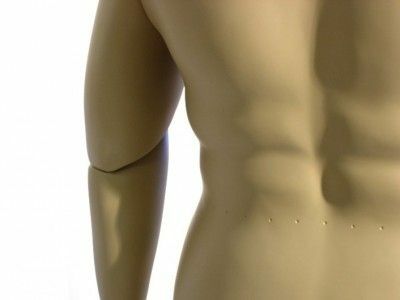 The shoulders can be compressed and retracted inside the body where they lock into place. A spring-loaded mechanism and slider will return the shoulders to their correct position when the shoulders are pressed again. We now offer a durable natural linen fabric finish. 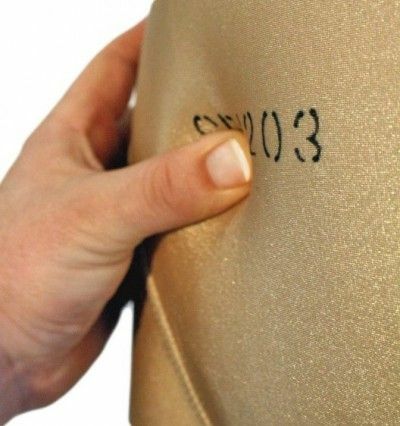 Easy to pin into and with a smooth texture for good garment draping properties. This is often something that sets a quality dress form apart from others as it all comes down to functionality. Each of our forms are supplied with a heavy-duty, height-adjustable, industrial steel base complete with lockable castor wheels. 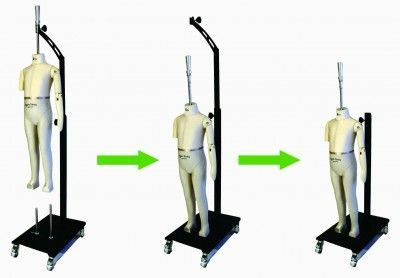 Our hanging style stand is made from 6mm mild steel plate that is epoxy-coated and easy to assemble. It has a smooth travel action and is easy to adjust in height because of a large Bakelite adjusting knob. A large turned aluminium handle at the top allows users to easily lift the dress form on and off the stand. 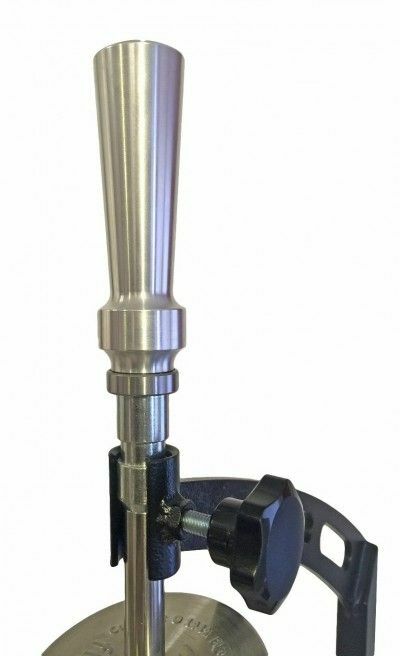 An integrated stainless steel pipe with galvanised ferrule easily locates into the clevice end of the stand arm. The ferrule and clevice are chamfered making it easy to locate one into the other. 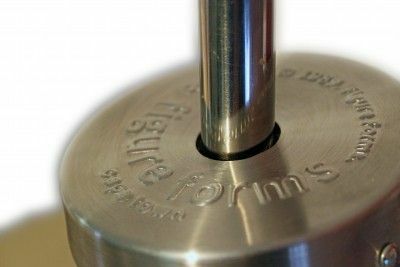 The ferrule can be locked in place with an adjusting screw if the dress form is not required to rotate, and the ferrule has an undercut groove to stop it from lifting out of the stand when pulling bottoms to the dress form. When not in use, the arms can be attached to the arm hanger bracket on the Hanging Stand. We have refined our products over a period of close to 30 years of supplying the apparel industry, making us one of the most experienced and trusted tailoring/fit form manufacturers in the world. For us, it is not only about having the most accurate body shape and measurements in our forms, but it is also about the overall quality, functionality and user-experience. Stainless steel fittings, turned aluminium parts and use of the highest-grade materials make for products that not only last, but look good too. We bring function to form and fit, and have developed numerous high-quality features for our forms to make them extremely durable. Certain models have specifically been developed to have an industrial lacquer painted finish. These too are ideal for fitting, as it provides a smooth surface (natural garment fall) and makes it much easier to pull those tight-fitting garments onto the form (especially pants). The lacquer finish is extremely hard wearing and long-lasting and these forms are used more for fit appraisal rather than garment construction and design. We use a technical performance fabric – a heavy-weight nylon spandex – that not only has the stretch to closely follow the body contours, but allows us to maintain very accurate measurement tolerances as it is not steamed on. 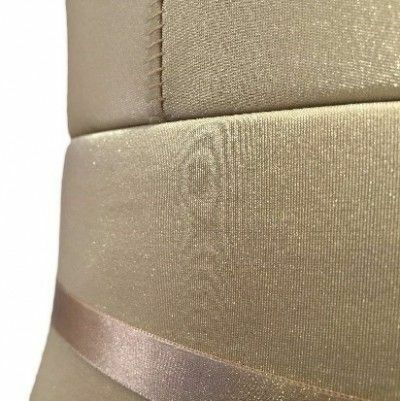 The real benefit is in the surface texture – a very smooth finish that allows for a more natural drape of a garment, and less-pronounced seams. These fabric-covered forms have a cotton interlock lining, making them partially-pinnable forms (you can pin side-ways into the fabric cover). 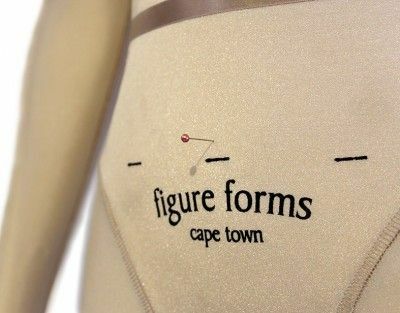 Figure Forms is one of the only companies to have perfected the whole-body Soft Form technology, and have applied it to only select models. Instead of having only select areas that are soft, because let’s face it – the real human body is soft in most places – the entire body except for the arms and the dress form’s internal “skeleton” is soft. 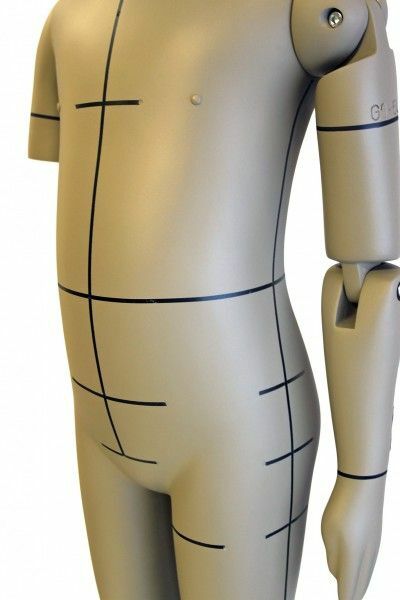 Having the entire body soft and compressible adds a new dimension to fit, as it creates a more realistic comparison to a real human body. Thighs, buttocks, tummy, bust and even the calves and tops of the shoulder. Garments can mould and pull into the dress form in a similar way to a real human body. We use a unique flexible closed-cell PU foam that gives a more realistic response to that of memory foam. True Memory foam can unfortunately change shape and dimension over time, and does not have the same kind of real-body response that is realistic. 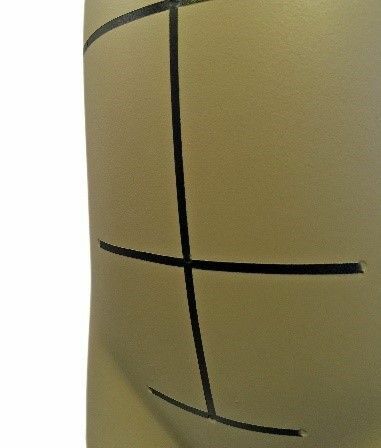 This flexible PU foam is also used in aeronautical and automotive industries, and is dimensionally stable and durable, so we know it can stand up to the trials of garment fitting, pinning and industrial use. These select forms are considered fully-pinnable. 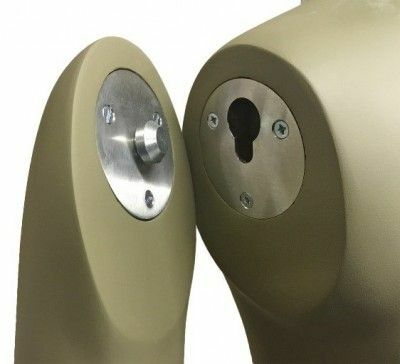 Painted finish forms can be made with measurement lines or with dots or grooves to indicate landmark points on the body. 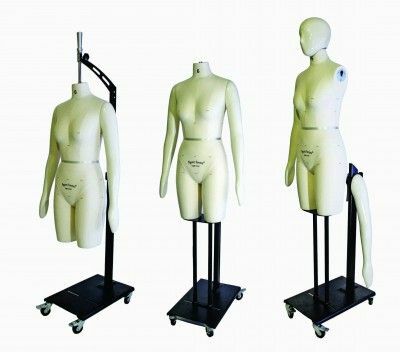 Reinforced articulated jointed elbows on selected models allow for better assessment of garments by mimicking body movement. 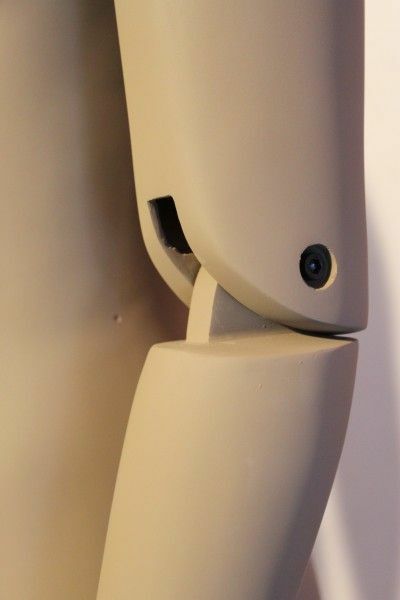 Selected models can be made in our unique whole body Soft Form technology or Litetech rigid foam technology which is fully “pinnable”.